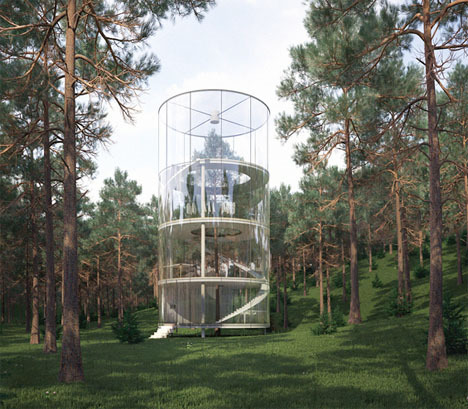 Would you give up all your privacy in order to live in a spectacular glass cylinder with a tree growing up the center? 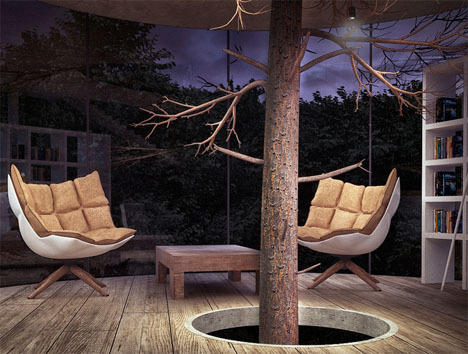 Perhaps the secluded forest location will help make that decision for you. 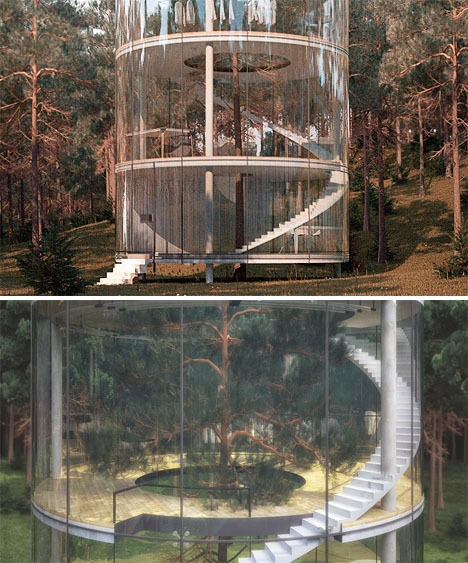 ‘Tree in the House’ by Masov Aibek is a stunning four-story modern treehouse in the woods of Almaty City, Kazakhstan with transparent walls and a spiraling staircase. 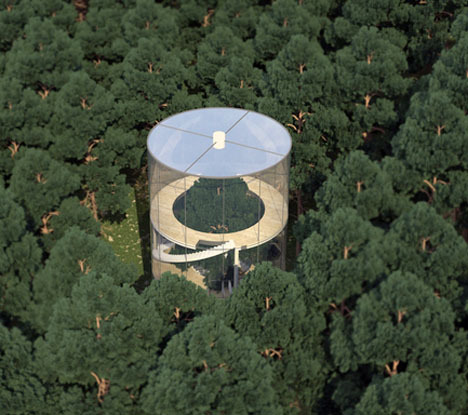 The staircase takes you from one floor to the next along the outer perimeter of the house, with an opening in the center of each floor that grows wider as the tree’s branches stretch out toward the top. Plasterboard inner walls provide a little bit of organization and section off areas for lounging and a bed. Real as it looks, this is currently just a concept – but it’s on its way to being built. Construction will begin in early 2014 at an estimated cost of U.S. $361,000, and the architect is currently taking orders for more.